On May 29th, 2016, the world famous Indianapolis 500 celebrated its 100th race. And it was historical for a number of reasons beyond rookie driver Alaxanger Rossi taking home first place. This 24 year-old rookie Alexander Rossi , raced for Andretti Herta Autosport and managed to win the race on fuel mileage over Carlos Muñoz and Josef Newgarden. Meanwhile the two-time winner Juan Pablo Montoya entered the race as the defending champion. The 2016 race was milestone as the 100th running of the Indianapolis 500. After all, this race is five years after the event’s Centennial Era, the three-year long commemoration which celebrated the 100th anniversary of the opening of the circuit (1909), and the 100th anniversary of the first Indy 500 (1911). The 2016 running is the ninety-ninth scheduled 500-mile race of the entire event’s historical canon since the 1916 race was scheduled as a 300-mile race. 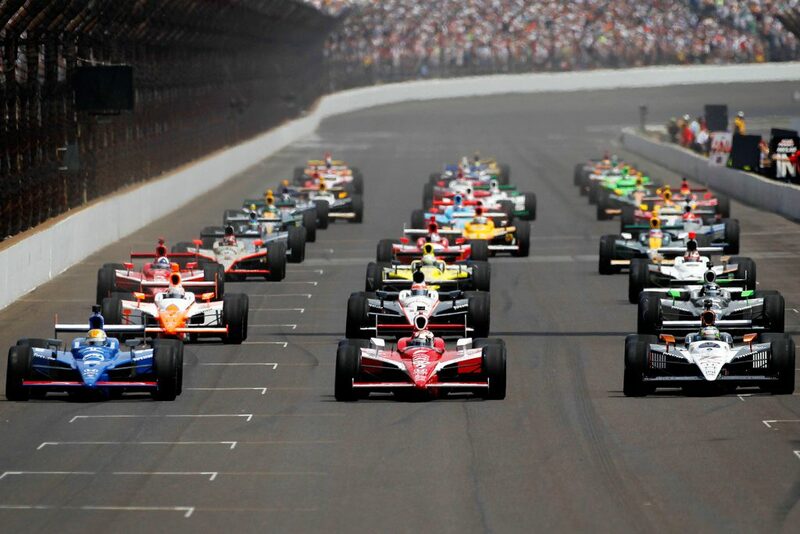 The Indy 500 is billed as “The Greatest Spectacle in Racing,” and as such is part of what is known as the Triple Crown of Motorsport, which comprises three of the most prestigious motorsports events in the world. The WORLD. The first ever Indianapolis 500 took place more than 100 years ago in May of 1911. More than 85,000 spectators gathered around a large banked oval on Pressley Farm on in order to watch history in the making, the event was known as the International 500-Mile Sweepstakes Race. The best part is how much of the press and journalists who attended are still around today and we’ve gathered the reports in order to provide a snapshot as to the early days of the Indy 500 to where it is now. Carl Fisher was an automobile dealer who brought up the idea of building a private vehicle testing facility in 1906. The goal was to allow manufacturers to safely test the potential top speeds of new cars. 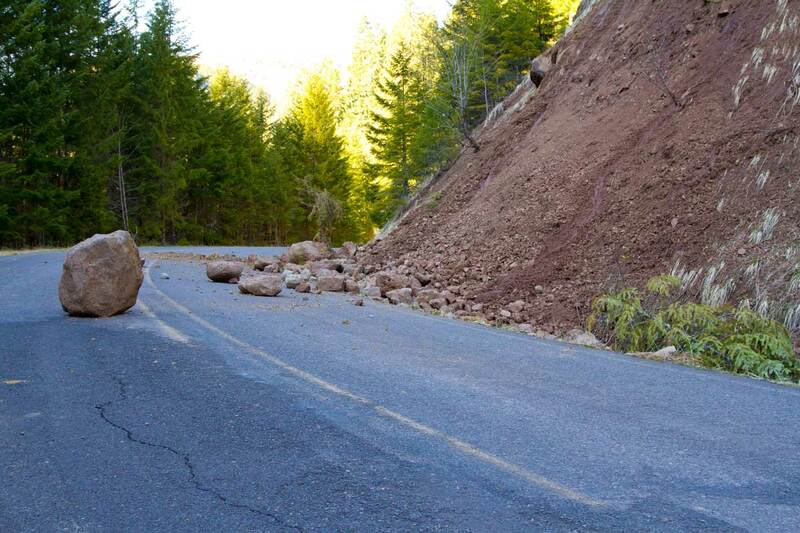 That was because at the time public roadways were not developed particularly well. And thus the Indianapolis Motor Speedway was built. It stretched across 328 acres of farmland five miles northwest of downtown Indianapolis. Eventually, Fisher and co got the idea that occasional races at the track would pit cars from different manufacturers against each other in order really test each other’s full power and hopefully entice spectators to check out the new models themselves. By 1911, Fisher and his partners decided to solely focus efforts on one long race per year, as opposed to the numerous shorter events, in order to raise publicity. In all of racing, the winning purse for the grueling 500-mile race would be the richest. What was that first race like? 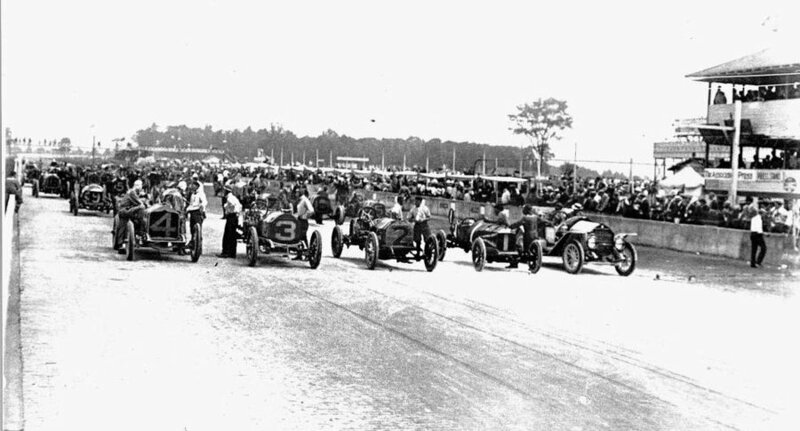 It was on May 30, 1911, where 40 cars lined up at the starting line for the first ever “Indy 500.” It did not go smoothly (does any historical event? ).On this historic day there was even a multi-car accident that occurred 13 laps into the race, and the chaos that followed ended up scoring, so much so that the big finish ended up being a huge dispute where the runner-up, Ralph Mulford, argued that he was the rightful winner. Regardless it was Ray Harroun who took home the $14,250 purse (about $345,460 in 2016), clocking an average speed of 74.59 mph and finishing his total time at 6 hours and 42 minutes. His car, “The Wasp,” was the first car with a rear-view mirror that Harroun had installed in order to compensate for not having the expected mechanic in the seat next to him to warn of other cars passing. 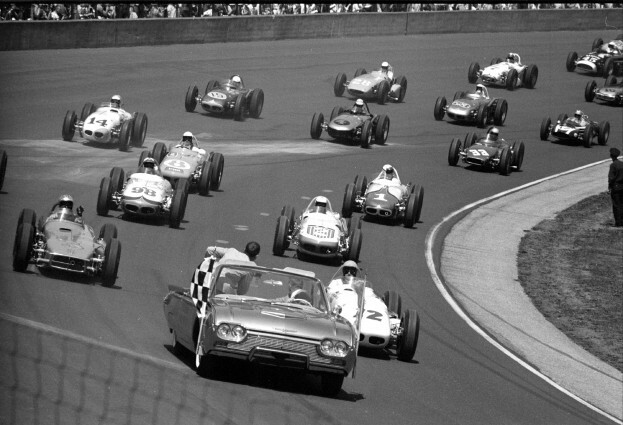 Barely a decade after this historic event, nearly all the cars that drove in the Indy 500 were dramatically smaller, lighter, more efficient and far more expensive than consumer cars. They had aerodynamic bodies with narrow grills and teardrop-shaped tails. Eventually they adopted knock-off wire wheels for quick, efficient tire changes; and they were also straight-sided which allowed them to stay on the road much longer than their pneumatic predecessors. The best cars of the 20s and 30s were equipped with four-wheel hydraulic brakes and an inline 3.0-liter V-8 engines built using aluminum. It was in this era that the Indy 500 had become what it is today–a high-stakes event for the world’s most expensive and powerful cars. Today, the Indianapolis 500 is still held annually at the Indianapolis Motor Speedway which is now a 2.5 mile oval circuit. The drivers end up racing a total of Drivers race 200 laps counterclockwise around the circuit, for the namesake distance of 500 miles. As per the tradition started in 1911, the race has always been scheduled on or around Memorial Day or in the case since 1974, scheduled for the Sunday of Memorial Day weekend. There are a series of practice and time trials are held in the two weeks leading up to the race and this is where motorsport fans start building up the hype. The race begins with 33 starters, aligned in a starting grid of eleven rows of three cars each. 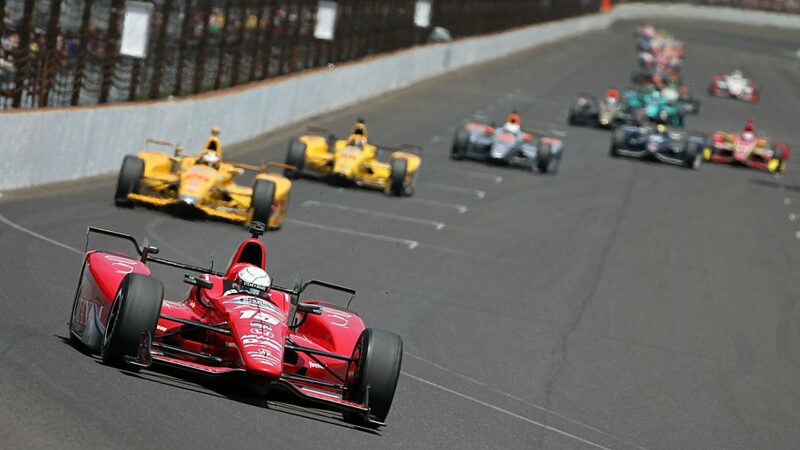 Not to be confused with Formula 1, the cars that drive the Indy are exclusive to the race: “Indy cars”, a formula of professional-level, single-seat, open cockpit, open-wheel, purpose-built race cars. In 2015, all entrants utilize 2.2 L V6, twin-turbocharged engines which are specially tuned in order to produce a range of 550–700 horsepower (410–520 kW). As of the 100th event in 2016, Chevrolet and Honda are the current primary engine manufacturers involved in the sport while Firestone, which has a deep roots in the history of the sport, (dating back to the first race), is the exclusive tire provider. The race has long been the most prestigious event of the IndyCar calendar, not simply the oldest and most important. 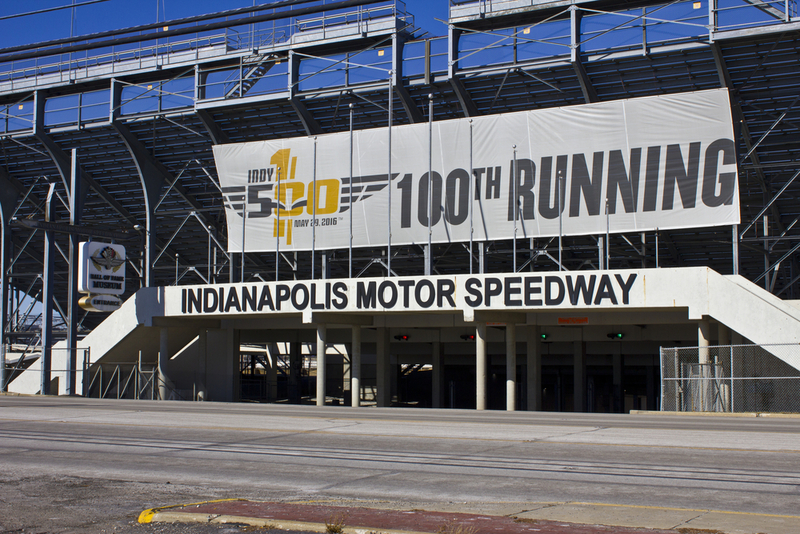 In fact it has been touted as the largest single-day sporting event in the entire world with the Indianapolis Motor Speedway itself considered the world’s largest sporting facility in terms of capacity. The total purse exceeded $13 million this 100th running, with over $2.54 million awarded to the winner, Andrew Rossi, making it one of the richest cash prize funds in sports.